If you are a teacher and would like to visit CROCOPARC with your students; or a holiday camp/leisure centre organiser and wish to bring a group of children; our team is at your disposal to help you prepare your project. You will find below various information about the reception of schools and holiday camps. 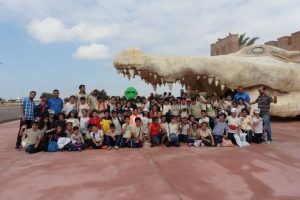 If you are a teacher and would like to visit CROCOPARC with your students, our team is at your disposal to help you prepare your project. 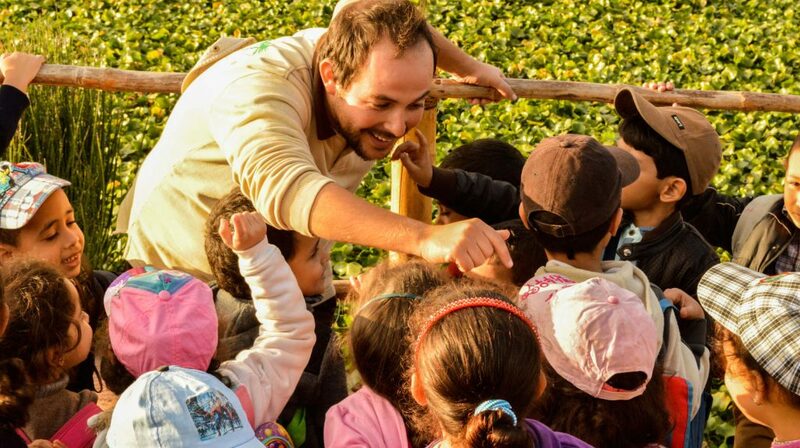 To enable this, first contact will help us to learn more about your project in order to prepare your visit. An on-site facilitator will be available to your group and you will be provided with worksheets on crocodiles (their living environments, diet, reproduction, etc.). Throughout the course of their visit to the park, children will discover the terrain, along with different creature footprints. Games will be available to them in order to try to discover the animals to which these impressions belong. Similarly, children will discover with amazement the encrusted fossils embedded in caves which are dug beneath the waterfall. Moreover, the educational aspect of the rating of the park is of privileged status. 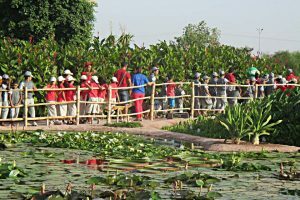 Thus, educational panels and question/answer panels dedicated to the Nile crocodile, the resident species at CROCOPARC, are available to visitors throughout the course. Similarly, many posters and signs, providing information on plant species which populate the gardens of CROCOPARC, are located throughout the park, and will be very useful. If you are a holiday camp/leisure centre organiser and wish to bring a group of children, our team is at your disposal to help you prepare your project. For further information, contact the sales department: 0662099361 or 0528297931.